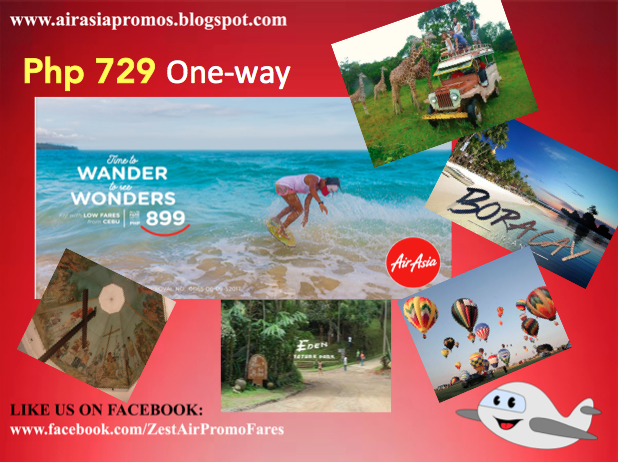 Air Asia Promo Fare: "Experience the Philippines" is the new slogan released by the Department of Tourism, though, controversial with the release of their official tv ad campaign, it still retained its old slogan, It's More Fun in the Philippines. The slogan is targeted directly to foreign tourist but it's not limited to just them. Local tourist can definitely still be called to enjoy the Philippines especially the very amazing and beautiful destinations, the country could offer. 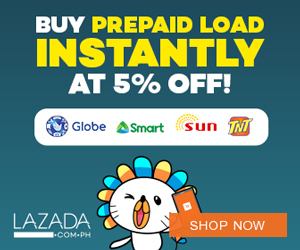 For those coming from Cebu, they can certainly book a flight for as low as Php 899 All-in, one-way fare to Kalibo, Davao, Singapore and a lot more. Please note that there could be some charges for the service, web admin, booking fee, and other taxes that is mandatory. But wait, there's more! A trip from Davao to Cebu will only cost you Php 729. And the next cheapest fight is to Kalibo (Boracay) for only Php 1299. The rest of the promo flights are shown below. Those coming form Kalibo going to Manila may enjoy a cheaper fare of Php 954. While a trip to Clark (Pampanga) will cost you Php 1099. If bound for Davao, you might need to purchase the plane ticket at Php 1299. See below. For Manilenos, it is still cheaper to visit Boracay via Kalibo at Php 1139. But if you prefer via Caticlan, it's a bit pricey to Php 1599. The next domestic destination you might consider would be a visit to Puerto Princesa (Palawan). The Underground River is in that place! Ticket price is at Php 1329.
how can we book now ?